The ability to communicate is the best blessing for mankind which makes the species different or unique from other universal creations. We Humans have evolved smartly over generations and now we are in a phase where the word ‘Impossible’ is fading from our dictionaries. Thanks to the Internet in aiding us to transform all our traditional activities into the digital mode. The life has now become much easier and eager to learn the emerging technologies and accept them in our day-to-day activities. One such digital revolution is IoT (Internet of Things). Mr. Kevin Ashton is the first ever person to coin the word IoT in the year 1999, which can be defined as the network of all the physical devices bonded with sensors to transfer the data between the client and the company. 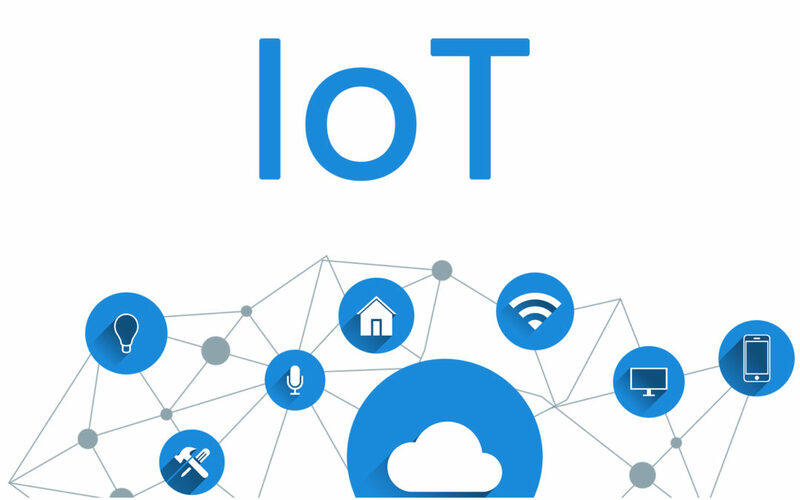 The aim of the IoT Implementation is to enhance the device performance, provide quality customer experience and to win the competitive digital race while increasing the revenue. As promised, IoT has really changed the functioning ways of different domains like communications, transport, healthcare, electronics and construction by its ‘Smart’ness. We can also quote that IoT Is considered as the backbone of excogitating technology. But, as a coin has two sides, everything in this world comes with both boons and banes and this IoT is not an exception too. There are many threats associated with IoT and its implementation. Still, by following the counter measure we can endure only the positive aspect of IoT and can boost up the quality of Human life. IoT has changed the world beyond imagination and we can now proudly say that the entire world is on our fingertips. There are numerous advantages of this miracle term which when listed can astonish you without fail. Privacy is always a question of doubt when it comes to IoT. We can easily expect the un-authorized authentications because of the cloud exposure of enormous data and improper authentication methods. This results in malware attacks and also leads to other system failures. Poor design of physical devices serves as the major gateway to that invasion of vulnerabilities. The fat is that we cannot control the entire manufacturing process of IoT devices and the bitter truth is that not all the manufactures of these devices are highly skilled and aware of the knowledge. The Network we use may not be safe and trust worthy with secured encryption and a decryption algorithm which allows the data leakage and the privacy of the end user may be in danger. Insecure Softwares and limited access to security configuration control is the main reason of the data exposure and the increasing number of cyber-attacks on IoT devices. Un-protected Interfaces like cloud and mobile also provides the chance to steal the data and attack on the security terms. Unsecured Protocols which act as the gateway to the cyber-attack intrudence. Heavy payload can also trigger the breakdown of system and attract the attacker’s attention. It is always advisable to maintain a very strong password and need to be frequently changed in order to avoid the un- authorized access. A double layered authentication process with efficient granular access control methods must be implemented. All the physical devices must be brought by professional and well trained manufactures provided with the 24/7 maintenance assistance. The software must be regularly updated and the security patches must be fixed regularly. A close monitoring is always highly recommended. Try to act as fast as you can on noticed vulnerabilities. Educating the resources and training them on the threats and countermeasures of IoT without fail. The internet connection utilized to communicate or to connect to devices must be verified before-hand. High security an data transport layers with data packet securing mechanism must be executed. Payload counter measures like MQTT must be implemented in order to avoid the payload attacks. Hacker can easily decode locking protocols by invading into connected networks. Once the security protocol is hacked, sensitive data can be stolen easily. Third person can easily control and monitor the connected devices. Focus on what your organization requires before implementing the IoT mechanisms. Understand about the infrastructures, the thrust of customers, the scope of the product and then plan to use the suitable IoT devices carefully. It is also suggestible to increase the security standards of the respective organization which can increase the product or service value at the end.